One of the regulations in the Part 107 law that governs commercial drone operations is the limitation to flying only during the day; namely Part 107.29 “Daylight Operations”. There is a growing need to support operations that must be conducted at night and so the FAA has a process for approval of night operations through a waiver application. Only about 25% of the 'night waiver' applications submitted are approved by the FAA, often due to a lack of lighting systems that meet the requirements. 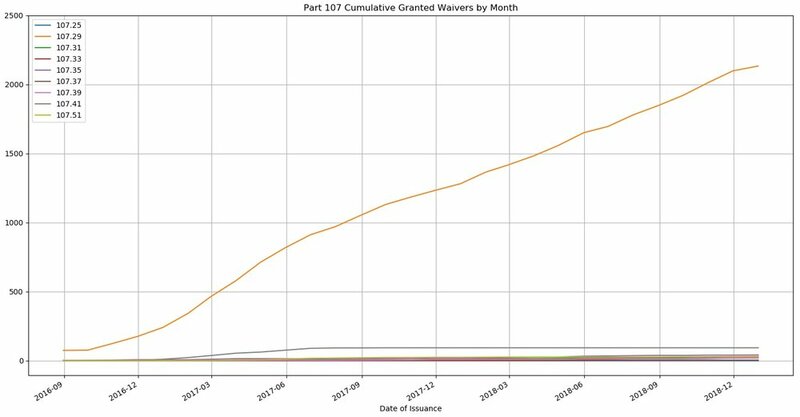 There have been a total of 2,133 Part 107.29 waivers issued out of a total of 2,305 waivers overall as of December 2018. The ‘night waiver’ is the vast majority of the waivers granted by the FAA for Part 107 regulations and this requires special aftermarket lighting systems as none of the drone OEMs currently offer lighting that satisfies the FAA’s requirements. During 2018 DroneRafts developed a lighting system that attaches to its popular all-terrain landing gear systems and meets the FAA’s requirements enabling approval of ‘night waivers’. This solution brings a unique composite of capabilities to the commercial operator comprising the broadest range of expanded environments supported. The trademark ‘FireFly’ was unveiled in January 2019 and is available for purchase directly from DroneRafts.com.